When it comes to highlighter i definitely don't need anymore but whilst doing a little Christmas shopping it seemed only fair that i treated myself to something too, right? I'm a little obsessed with highlighter, it's become one of my favourite make up products and i almost feel unfinished if I'm not wearing any. 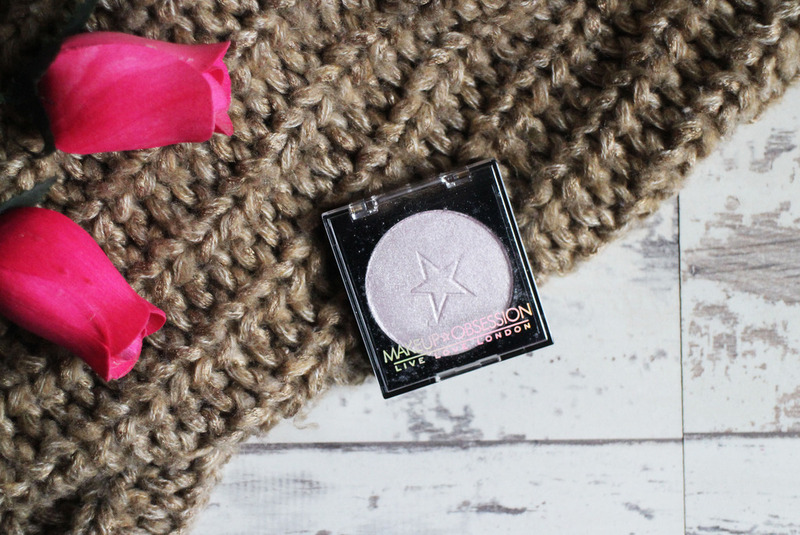 After watching Sophdoesnails feature this Make Up Obsession Highlighter in her Boyfriend Chooses My Make Up Video - it was so pretty that i decided to treat myself to the exact same one. Make Up Obsession is a new brand exclusive to Boots - only a selected stores are lucky to have a stand (mine doesn't) but it is available online. It's basically a high quality, affordable brand in which you can 'Choose, Fill and Customise! The only thing i dislike about this is the packaging, because you're able to customise the palettes the pans pop in and out really easily - i only have to be holding the highlighter for it to pop out, even when the lid is close. I'm assuming it's because of the way it fits, it literally pops through the middle but i find it a bit annoying when I'm trying to apply the highlighter and it keeps popping out of the packaging. The highlighter is the only thing I've tried from Make Up Obsession but if the rest of the products are anything like this one then we are in for a treat because for such a cheap price, the quality is so good. Moon is a very sparkly, almost silver toned highlighter. 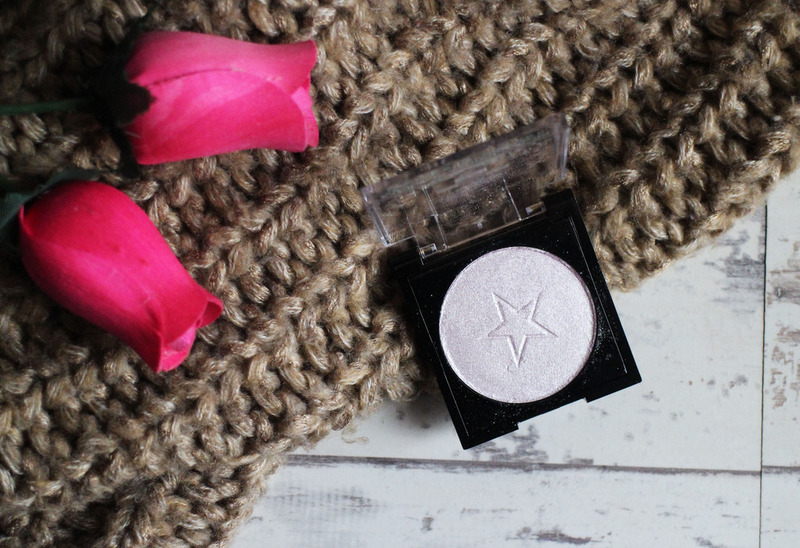 Once upon a time a highlighter like this would have has me running to the hills in case i looked like a disco ball, but now i just can't get enough. 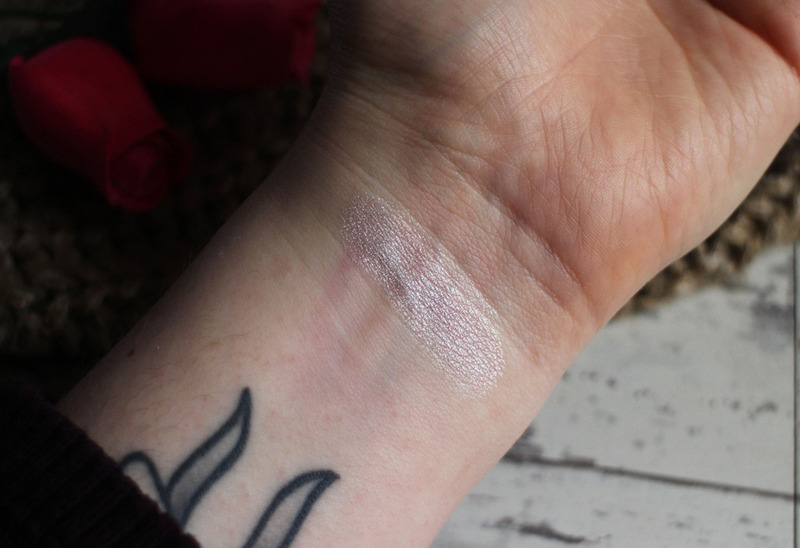 This photo doesn't even do it justice, it's so pigmented that it takes very little effort to get the most beautiful glow and it looks absolutely gorgeous on the skin. 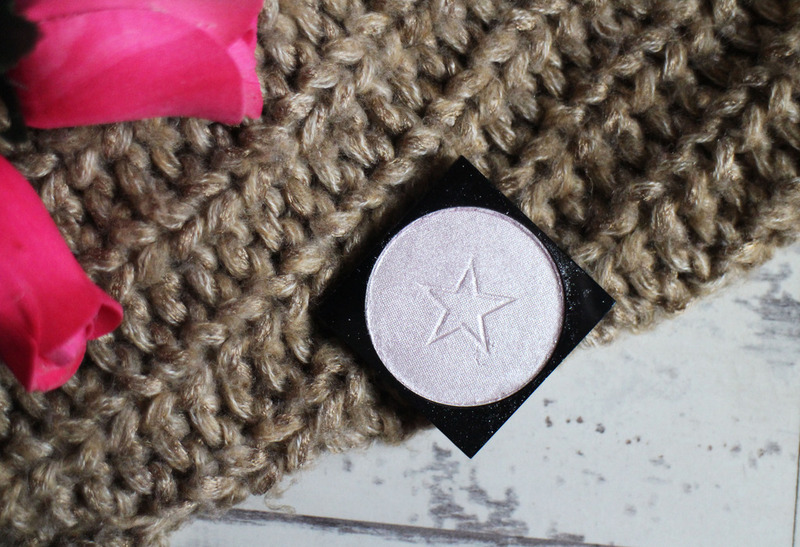 This is the perfect party/night out highlighter, i will hold my hands up and say it might be a little too much for day to day wear (at least for me) but if you are someone who loves their highlighter, you need this in your life. I like to apply mine with a big fluffy fan brush, It's so easy and effortless and you get instant results - I'm quite surprised that I've not heard much hype about this highlighter because i think it's amazing quality and the best part? It's only £3. 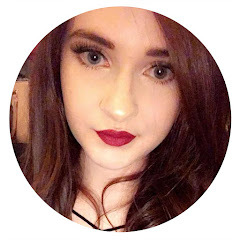 The entire Make Up Obsession range is really affordable, so if you are on a budget or are just someone who loves a bargain it might be worth checking out. 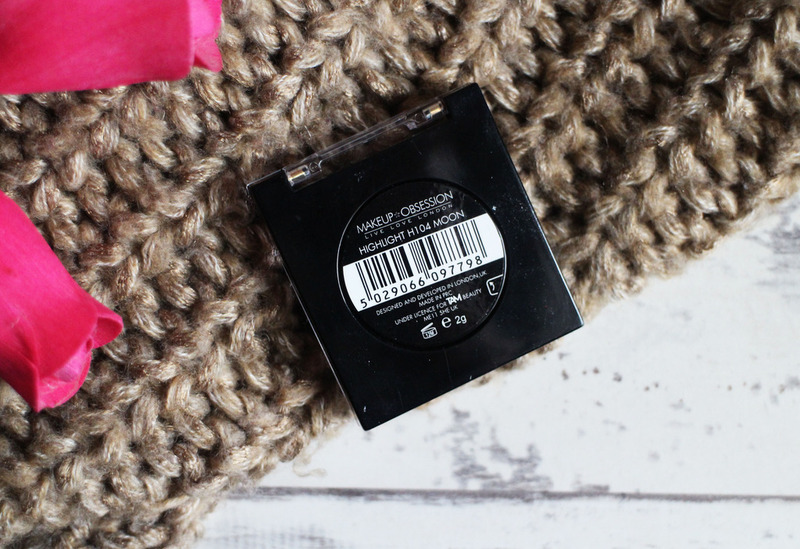 Have you tried anything from Make Up Obsession?